Before the farm, Tim and I did have other lives. Besides being parents to 2 terrific daughters, Jeannine and Marcy and 3 wonderful grandchildren, Kate, Thomas and Finn, we had real jobs. Tim was Science Dept. Chairman at Milford High School and I was a dental hygienist, so we know many,many of you and you know us. Tim was NH State Representative for 10 years and Noreen was Milford Selectwoman for 6 years and we are still active on many town and state committees. 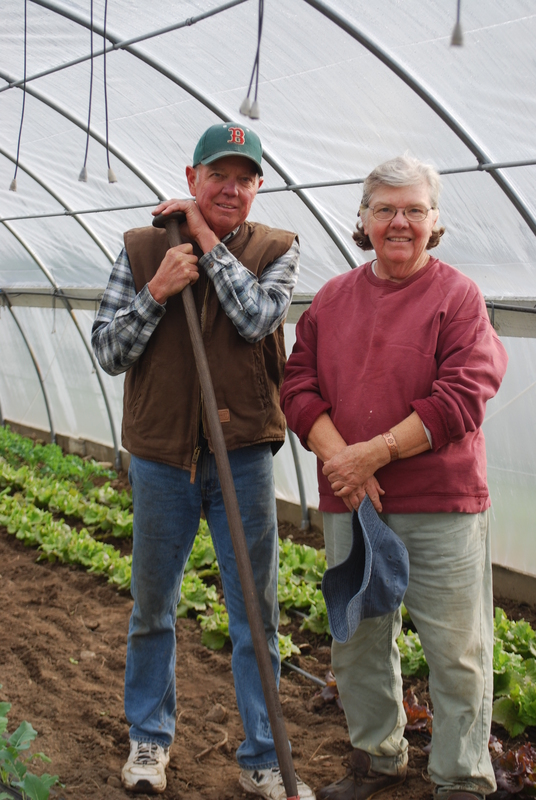 Tim and I have been running Butternut Farm Milford since 1975 , (not to be confused with Butternut Farm LLC in Farmington). 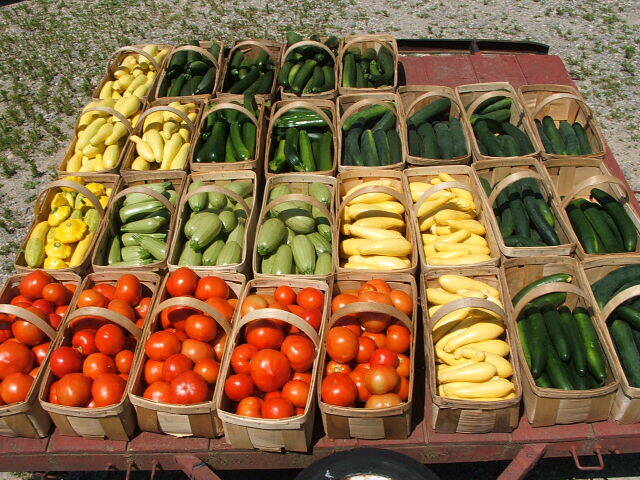 Our farm is 20 acres, and we have fields full of vegetables, flowers, Christmas trees and goats. We specialize in conventional farming practices using research from UNH and other land grant universities and IPM (Integrated Pest Management). This means Tim is licensed in pest management and is checking the fields and greenhouses before there are problems. Again this season we’re planting all sorts of vegetables ranging from Brussels sprouts to zucchini, many heirloom and ethnic varieties. We work closely with our daughters, Marcy at Holland Farm (also Milford Goat Dairy) and Jeannine at Earthlings Baked Goods providing maple granola. 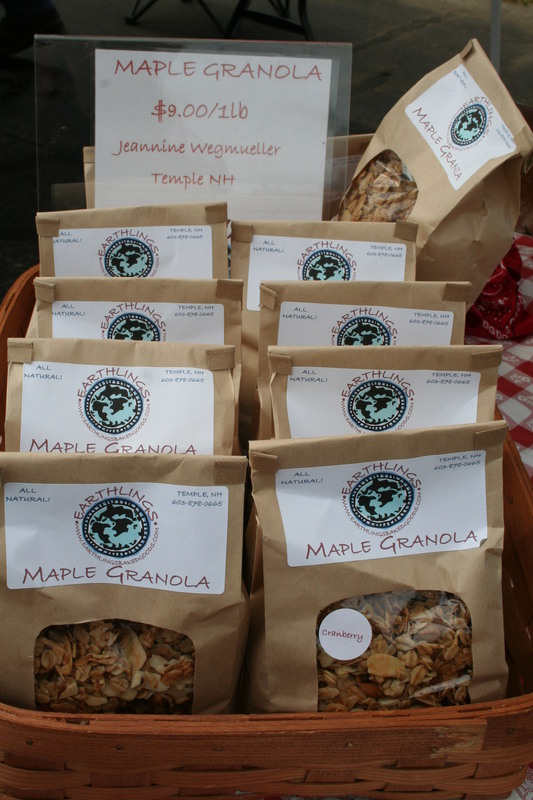 Our Daughter Jeannine makes the best maple granola, I put it on our goat yogurt–just right!